Make an elegant entrance at Prom 2019 wearing Terani Style 1915P8342. This dress features soft gathered tulle over lace with ruffles on skirt tiers. 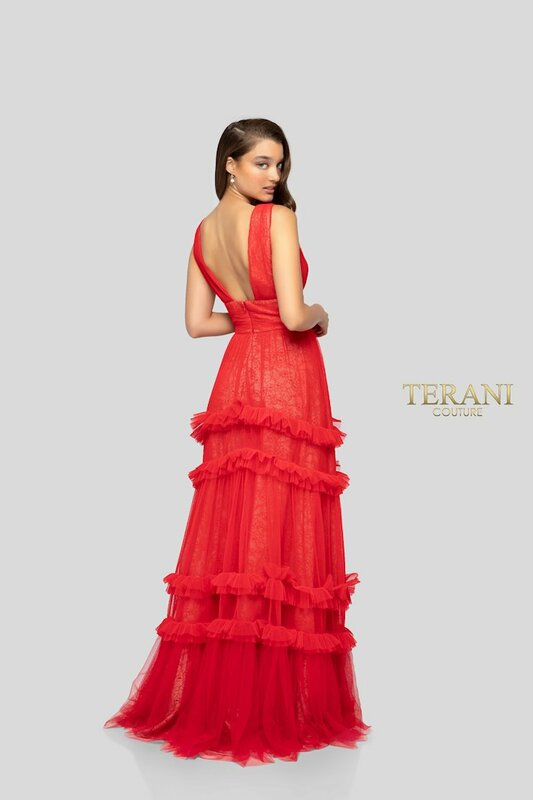 Terani Style 1915P8342 is only available in Red.